Bell had been working on a single-seat fighter, the "Bell Model 3", in response to a 1936 US Army Air Corps (USAAC) requirement. As the design emerged, it was a low-wing monoplane with tricycle landing gear, then an unusual feature, with the engine unconventionally mounted in mid-fuselage, turning the propeller through a driveshaft. This arrangement, which had been used in a few earlier experimental aircraft, was seen as enhancing agility by placing the engine at the machine's center of gravity (CG), as well as permitting installation of heavy armament in the nose. There was some thought of putting the cockpit behind the engine, close to the tail - but that was quickly judged unrealistic, with the cockpit moved forward of the engine, this revision being designated the "Model 4". The Bell proposal was submitted to the Air Corps in May 1937, with the USAAC awarding a contract for a single prototype of what had by then become the Bell "Model 12", more formally "XP-39", in October of that year. The 1938 Airacobra was single-seat fighter with a tricycle landing gear, a single Allison V-1710-17 liquid-cooled engine of 1,150 horsepower (860 kW) located behind and below the pilot and driving the propeller by means of an extension shaft, and a cannon firing through the hollow propeller shaft (in addition to fuselage-mounted machine-guns). A turbosupercharger was mounted on the port side of the fuselage. The aircraft featured a scoop on each side of the engine for the turbocharger system. Though the XP-39 wasn't armed armament was envisioned as an Oldsmobile M-4 37mm cannon mounted in the upper forward portion of the fuselage nose with the barrel protruding and firing out through the propeller hub, two 12.7mm Browning machine guns in the upper-forward portion of the fuselage and additional 12.7mm (.50 caliber) machine guns were added to either wing - one to a wing. Initial flight of the XP-39 prototype was on 6 April 1939, with test pilot James Taylor at the controls. On the basis of satisfactory initial test flights, the Air Corps awarded Bell a contract to produce a dozen "YP-39" evaluation machines - with the order then augmented with a 13th machine that was originally planned as the "XP-39A" - to feature changes recommended in light of studies by the US National Advisory Committee for Aviation (NACA). While work went on to build these machines, the XP-39 was rebuilt to the "XP-39B" configuration, the primary change being that the turbocharger system was deleted, with the Allison engine reverting to its standard single-stage supercharger. The air intake was now moved to the upper portion of the fuselage and another Allison engine was selected for production that would provide better low-level performance. The XP-39 was the only Airacobra to be fitted with a turbocharger system. It appears that NACA wind tunnel experiments showed the XP-39 turbocharger installation was so aerodynamically cluttered that it did more harm than good. The XP-39B deleted the scoops for the turbocharger, and instead featured a small but distinctive carburetor intake on the spine of the aircraft. The re-born XP-39B performed its initial flight on 25 November 1939. The first of the batch of YP-39s performed its initial flight on 13 September 1940, with all delivered by the end of the year. They also used a supercharger instead of turbocharger; the later YP-39 machines in the evaluation batch featured armament. Even before the first flight of YP-39, the Air Corps had ordered a batch of production machines, originally designated "P-45" but then designated "P-39C", their configuration being much like that of the armed YP-39s. The first P-39C flew in January 1941. The P-39C really wasn't suitable for combat, lacking armor and self-sealing tanks. 80 had been ordered, but only 20 were built, combat reports from Europe indicating that the P-39C was simply not up to combat duty. The remaining 60 machines in the order were built with armor, self-sealing tanks, and enhanced armament as the "P-39D". The P-39C ended up being an evaluation type, with the P-39D being the first Airacobra to go into formal service with the Army Air Corps. It would also be the first "Cobra" variant to see action. The initial production P-39 systems became the P-39C models and were quickly followed by the P-39D series. The aircraft almost took on the designation of P-45 due to the radical list of changes from the original proposal through it was eventually settled that the P-39 designation was sufficient in detailing the significant changes and additions. P-39C models had a pair of 7.62mm (.30 caliber machine guns) mounted in between the existing 12.7mm heavy machine guns. Sixty examples of the ordered P-39C models effectively removed the 12.7mm heavy caliber wing-mounted machine guns and replaced them with 4 x 7.62mm types (two machine guns to a wing with 1,000 rounds each) and became P-39D designations while still retaining their nose-mounted 12.7mm heavy machine guns (300 rounds each). The M4 37mm cannon (30 rounds) was still in place. The P-39C had only 15 rounds of ammunition. The P-39C also had two 7.62 millimeter Brownings on the bottom of the nose, but they were deleted for the P-39D. The pilot got in and out of the cockpit through a car-style side door, with a door on each side. The doors even had roll-down windshields. They made access to the aircraft easy, though they also made escape a bit tricky in a pinch; and they were rigged so they could discarded to simplify bailing out. Construction was mostly of aircraft aluminum, with some magnesium parts and fabric-covered flight surfaces. All the landing gear assemblies had single wheels, with the nose wheel castoring and ground steering by differential braking. The nose gear retracted backward and the main gear hinged in the wings to pivot towards the fuselage. The engine was a V-1710-35 Allison, also with 860 kW (1,150 HP) but with technical improvements, driving a three-bladed Curtiss Electric variable-pitch propeller. Self-sealing fuel tanks were fitted in the wings; trim considerations made installing fuel tanks in the fuselage problematic, the engine preventing them from being installed on the CG, and the relatively small size of the wing tanks meant modest range. There was a centerline stores rack, capable of handling stores of up to 225 kilograms (500 pounds). Although the P-39D was used for trials of various configurations of belly tanks for ferry flights, it is unclear if the P-39D ever carried a belly tank in service. A total of 429 baseline P-39Ds was built, followed by 336 "P-39D-1" machines, the primary difference being replacement of the M4 37 millimeter nose cannon with a 20 millimeter Hispano Mk.404 cannon with 60 rounds of ammunition. It appears the substitution was due to production difficulties with the 37 millimeter cannon. The P-39D-1 also featured a small fillet on the front of the tailfin where it merged with the top of the fuselage; sources are a bit unclear as to whether the fillet was actually fitted to the baseline P-39D, but it certainly didn't appear on the P-39C. Following the P-39D-1, Bell built 158 "P-39D-2" machines, much the same as the P-39D-1 but with very minor tweaks. In addition, a total of 26 P-39D-series aircraft was converted to a photo-reconnaissance configuration, the "P-39D-3", by placing two cameras in the aft fuselage and adding a bit of armor. It is unclear if they retained full armament. They were followed by 11 similar "P-39D-4" conversions. Total production of the D-series was 429 + 336 + 158 = 923 aircraft. While the P-39 Airacobra had established a record as a competent if unspectacular low-altitude fighter, the same could be said of most Russia-produced fighters. The P-39 was a welcome reinforcement but it brought nothing new to the table. What the Russians really needed was a fighter capable of higher-altitude operations. This would allow them to take the battle to the Luftwaffe whose fighter had a major performance edge above the 12,000 to 16,000 foot band where existing Russian aircraft peaked out. Addressing this requirement led to the development of the P-45 Kobrushka. Although the P-45 was essentially a development of the original P-39 prototype with its turbocharged engine, its development was the outcome of tactical considerations and early war experience. The usual statement that the P-45 Kobrushka formed an intermediate stage between the P-39 and the much more formidable P-63 Kingcobra is also only partly true and the two should be regarded as parallel developments. During tests, a maximum speed of 386 mph at 21,680 feet was attained, which was much better high-altitude performance than other Airacobra variants. An altitude of 20,000 feet could be reached in 6.3 minutes. The P-45 had a much better high-altitude performance than other Airacobra variants and no less than 4000 were ordered by the USAAF, mostly for supply to the Russians. The P-45A was virtually identical to the XP-45 except that the 37mm cannon was replaced by an M2 20mm cannon with 100 rounds of ammunition. Experiments had shown that the tall, squared off tail fin offered the best characteristics and this was adopted for the production version. The first P-45As entered USAAF service in December 1943 and were enthusiastically received by their pilots who considered the type equal to the Me-109G and FW-190A. This experience led to a decision to issue the P-45A to selected USAAF units. Large numbers of P-45As were supplied to Russia and equipped the Guard (ie. elite) Fighter Regiments 16 GIAP, 19 GIAP, 21 GIAP, 72 GIAP, 100 GIAP, 213 GIAP (previously 508 IAP) and Fighter Regiments 196 IAP, 255 IAP, 508 IAP (later 213 GIAP). In Russian use, P-45s were often given to pilots who had proved their ability with the P-39. Several Russian Kobrushka aces are known. Lieutenant Colonel of the Guards Alexander I. Pokryshin, a Soviet ace with 59 kills to his credit, scored 48 of these in a P-45. He was awarded the Distinguished Flying Cross by President Roosevelt. There are eight other P-39 and P-45 pilots with at least 20 kills. Among top Airacobra aces were Grigorii A Rechkalov (44 kills) , Nikolai D Gulayev (36 kills), Ivan I Babak, Aleksandr F Klubov, Andrei I Trud, and the brothers Boris B Glinka and Dmitrii B Glinka. The Russian pilots preferred their 20-mm Shvak cannon over the 37mm of other P-39 Airacobra variants because of its greater reliability. In addition, the trajectory of the shells from the 20-mm cannon more closely matched that of the 0.50-inch guns, making for a greater concentration of fire. In the P-39G, the Soviets usually removed the wing guns or had them removed at the factory, preferring a better performance over the enhanced firepower. These considerations lead to the development of the P-45B that was built with a 20mm Shvak cannon replacing the M2 20mm gun. The P-45B retained the two nose-mounted .50 caliber machine guns. Two more .50s were mounted, one in each wing. Originally the P-45B was intended purely for Russian use but American pilots tried the aircraft and approved mightily of the new armament. Accordingly, production was increased and American units started to receive the P-45B. 20mm Shvak cannon were supplied for these aircraft by the Russians, the guns being flown back as cargo for return trips on the Air Bridge. Performance of the P-45B was identical to that of the A model. The use of the 20mm Shvak cannon eased maintenance of Kobrushkas in Russian units so it was natural to consider a wholly-Russian-armed version of the aircraft. Accordingly, the P-45C was designed, equipped with a single 20-mm B-20 cannon and two or four 12.7mm Berezin UBS machine guns. The B-20 and UBS were virtually the same gun, simply being chambered for different rounds. This eventually led to a rationalization of the armament with the definitive P-45C carrying three 20mm B-20 cannon in the nose. Although all P-45Cs produced were shipped to Russian fighter units, late production P-45Bs in U.S. service had the B-20 gun in place of the heavier ShvaK. Many USAF P-45Bs were re-armed with three B-20 cannon in the nose and two .50 machine guns in the wings. Produced for both the Russian and American air forces, the P-45D standardized on an armament of three 20mm B-20 guns in the nose. U.S. aircraft carried an additional two M2 or UBS .50 machine guns in the wings. The most obvious visual change was the replacement of the original cockpit with its characteristic side doors by a sliding bubble canopy." Roughly in parallel with P-39D production, Bell manufactured a total of 675 "P-400" Airacobras for export. The French had bought a batch of P-400s in April 1940; the order was taken over by the British after the fall of France a few months later, with the British then substantially increasing the buy. The P-400 was very similar to the P-39D-1, with the 20 millimeter Hispano cannon, but instead of 7.62 millimeter Brownings in the wings it featured 7.7 millimeter (0.303 caliber) Brownings for compatibility with British ammunition. However, British expectations of the "Airacobra I" - as it was designated in Royal Air Force (RAF) service - had been set by performance figures established by the unarmed and unarmored XP-39 prototype. On evaluation, the P-400 turned out to be about 10% slower than advertised, and of course its high-altitude performance was pathetic. It should be noted, however, that Bell engineers were correct in believing the mid-mounted engine was good for maneuverability, the RAF report concluding that an Airacobra could easily out-turn a Messerchmitt Bf-109. Only a portion of the P-400 order was delivered to the UK, serving for a short time with RAF Number 601 Squadron, "City Of London". The RAF performed a single combat mission with the type before withdrawing it from service. The remainder of the batch was shipped to the USSR or was taken in to US Army Air Forces (USAAF) service - the "Air Corps" having been superseded by the "Air Forces" in June 1941. The P-400s saw combat in the South Pacific; it is likely they were fitted with 7.62 millimeter Brownings, though sources are unclear on the matter. The "XP-39E", which was a substantially modified experimental machine, with a 53 centimeter (21.3 inch) fuselage stretch, more fuel capacity, and wider wings plus tailplane. All flight surfaces had squared-off tips, with the tailfin fitted with a prominent leading-edge fillet later in development. It was supposed to have been used to evaluate the Continental V-1430 engine, but non-availability of such meant it was powered by an Allison V-1710-47 engine with a two-stage supercharger instead. Three were built; despite all the changes, its performance was no better than that of the P-39D, and so that line of investigation was abandoned. 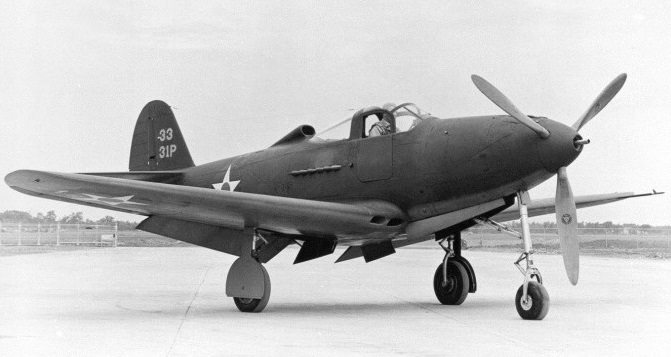 The "P-39F" was almost identical to a P-39D with the M4 37 millimeter cannon, but had an Aeroproducts three-bladed prop, since Curtiss was having problems making deliveries. 210 were built, with 27 given minor improvements and redesignated "P-39F-2". There was an intent to build a "P-39G" variant, but the aircraft planned for that build ended up getting other designations. There was no "P-39H" nor "P-39I"; the USAAF didn't like to use the "I" suffix because it was too easy to confuse with a "1" and end up with "P-391", but what happened to the P-39H designation is unclear. That means the P-39F series was followed in production by the "P-39J", which was much like the P-39F, but had a slightly improved Allison V-1710-59 engine. 25 P-39Js were built. The "P-39L" was much the same as the P-39K, except for fit of a Curtiss Electric propeller with a diameter of 3.15 meters (10 feet 4 inches). 250 were built under the designation of "P-39L-1" - there was no P-39L subvariant - with 11 modified to "P-39L-2" reconnaissance machines. The "P-39M" was similar to the P-39L, but had a V-1710-67 engine with improved high-altitude performance. 240 were built under the designation of "P-39M-1", with 8 converted to "P-39M-2" reconnaissance machines. It appears that the P-39M was the first Airacobra to carry a centerline external tank as a normal fit, tank options being either 284 liters (75 US gallons) or 662 liters (150 US gallons). The "P-39N-1" featured a wider 3.51 meter (11 foot 7 inch) Aeroproducts propeller. 900 P-39N-1s were built. The "P-39N-2" was a photo-reconnaissance conversion of 128 P-39N-1 machines. The "P-39N-3" was a photo-reconnaissance conversion of 35 baseline P-39N machines. The "P-39N-5" was a P-39N-1 with armor plate replacing the cockpit rear armor glass. 695 were built for a total P-39N production of 500 + 900 + 695 = 2,095 aircraft. The "P-39Q-1" was much like the P-39N, retaining the V-1710-85 engine, but replaced the two 7.62 millimeter machine guns in each wing with an underwing fairing stowing a single 12.7 millimeter machine gun -- for total armament of four 12.7 guns plus the 37 millimeter cannon. Pilots had complained the 7.62 millimeter guns were ineffectual, with Soviet pilots calling them "paint scratchers". 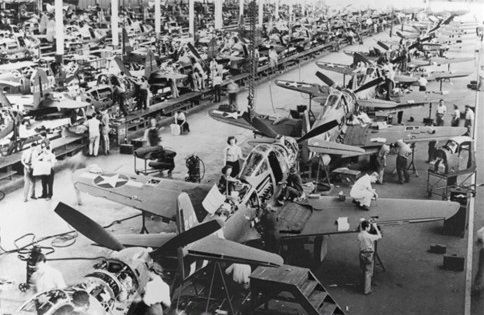 150 P-39Q-1 machines were built. The "P-39Q-2" was a photo-reconnaissance conversion of 5 P-39Q-1 machines. The "P-39Q-5" was much the same as the P-39Q-1 but restored the deleted fuel tankage. 950 were built. The "P-39Q-6" was a photo-reconnaissance conversion of 148 P-39Q-5 machines. The "P-39Q-10" was similar to the P-39Q-5 except for various minor tweaks, for example improved winterization -- presumably at Soviet request, the bulk of P-39Q production going to the USSR. 705 were built. The "P-39Q-11" was a photo-reconnaissance conversion of 8 P-39Q-10 machines. The "P-39Q-15" was similar to the P-39Q-10 except for minor tweaks, such as reducing the number of oxygen bottles from 4 to 2. 1,000 were built. 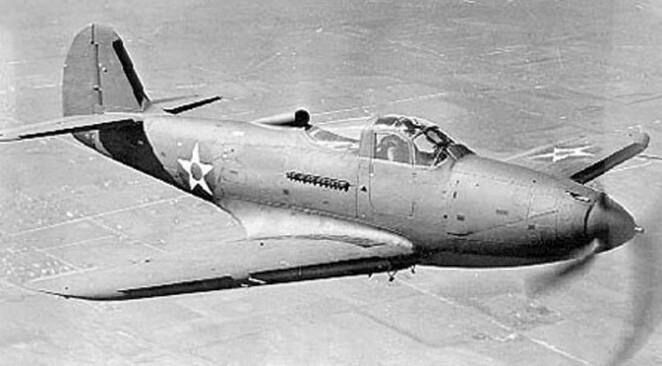 The "P-39Q-20" was in turn similar to the P-39Q-15 but with further minor tweaks. Most were delivered to the USSR, with the wing guns deleted from these machines; the Soviets thought that two 12.7 millimeter guns and the 37 millimeter cannon provided perfectly adequate armament, and wanted the wing guns deleted to save weight. In fact, they had been yanking the wing guns from earlier P-39Q machines after delivery. The wing guns were similarly deleted from later P-39Q subvariants sent to the Soviet Union. 891 P-39Q-20 machines were built. The "P-39Q-21" was similar to the P-39Q-20, but had a four-bladed Aeroproducts propeller. 109 were built. The "P-39Q-25" was similar to the P-39Q-21, but had a reinforced rear fuselage and tailplane. 700 were built. 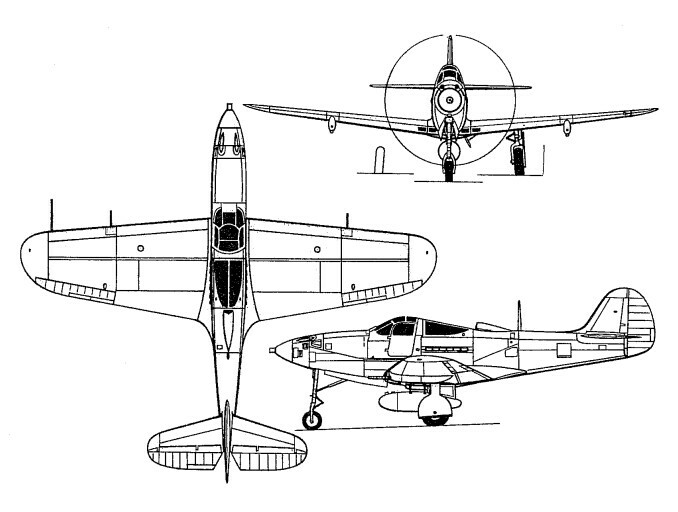 The "P-39Q-30" was similar to the P-39Q-25 but reverted to the three-bladed propeller; it also featured minor tweaks. 400 were built, for total P-39Q production of 150 + 950 + 705 + 1,000 + 891 + 109 + 700 + 400 = 4,905 aircraft. The Airacobra was successfully operated with radio-control as a remote-controlled target drone. Two P-39Qs were actually obtained by the US Navy for use as radio controlled drones, being initially designated "XTDL-1" and then "XF2L-1K". Additional variations also included a dual-seat trainer version. Bell modified a P-39Q-5 to "TP-39Q-5" configuration by removing the armament, adding a forward cockpit with a side-hinged canopy up front for a flight instructor, and adding a ventral strake under the tail and an extended forward tailfin fillet to handle aerodynamic changes. It was rolled out in September 1943. That experiment proving satisfactory, Bell converted 12 P-39Q-20 machines to a similar "RP-39Q-22" configuration, the "R" indicated "restricted", as in not suitable for combat. A few were supplied to the USSR; the Red Air Force thought it a good idea, and so developed a few Airacobra trainer conversions of their own, designated "UTI P-39"; they had a different forward canopy arrangement. The difficulty was that after ammunition was expended, the aircraft's CG shifted back so that the aircraft was inclined to fly tail-first, throwing it into a flat spin from which recovery was problematic. Bailing out under such conditions was also troublesome, because the pilot had a tendency to hit the tail. Even if recovery were possible, the spin had a tendency to warp the aircraft's tail, rendering the controls useless, which is why the P-39Q-25 introduced a reinforced rear fuselage. The Soviets received 4924 P-39s. While early on they came in through a variety of routes, eventually they were generally air-ferried from the USA through Alaska and Siberia, generally by Soviet pilots, many of them women.The P-39 made many-an ace for the Soviet Air Force where air-to-air battles along the East Front typically unfolded under the optimal 10,000 feet ceiling limit of the Airacobra. Aleksandr Ivanovich Pokryshkin, the third highest scoring Allied ace, earned 53 Luftwaffe victims flying in his P-39. Similarly, Grigori Rechkalov - the second top scoring Soviet ace - earned 44 such victories piloting a P-39 of his 57 total. One Red Air Force pilot, Mikhail Baronov, scored one of his 28 total "kills" by chopping off the tail of a Bf-109 over Stalingrad with the prop of his P-39. Initial P-39 deliveries to the Soviet Union arrived with the British-selected 20mm Hispano-Suiza nose cannon while later models came with the more potent American-endorsed M4 37mm cannon - the latter adjustment making quite a difference. The Red Air Force used the P-39 for close support, it was actually employed as an air combat machine. The Soviets had a much better close-support aircraft, the Il-2 Shturmovik; the US only supplied the Red Air Force with 1.2 million rounds of M54 high-explosive 37 millimeter rounds, not M80 armor-piercing rounds. The tale of the P-39 as a close-support aircraft in the war on the Eastern front appears to have been promoted by references to its use in "tactical support" -- which in Soviet usage simply meant it was flown in association with ground force operations, not necessarily implying close-support duties. The Red Air Force was a tactical air arm, its primary mission being battlefield support of Red Army ground forces, and as a result air combat tended to be at low altitudes. Under such conditions, the P-39 could fight on at least equal terms with the Luftwaffe's Messerschmitt Bf-109F and its successor variants, as well as the Focke-Wulf FW-190 - which was not noted for its high-altitude performance, either. The Red Air Force thoroughly evaluated the Airacobra before putting it into service, finding out the hard way about its vicious spin characteristics, with several test pilots killed. The faults were documented, however, with rules for flying the aircraft written up for operational pilots -- they were warned to never perform aerobatics if they had expended their ammunition -- and training implemented to make sure P-39 pilots knew how to avoid spins and, when possible, head them off before the point of no return. Procedures had to be devised for maintenance in extreme cold conditions. Bell engineers went to the USSR to assist the Soviets in qualifying the P-39, obtaining feedback for refinements to the design. 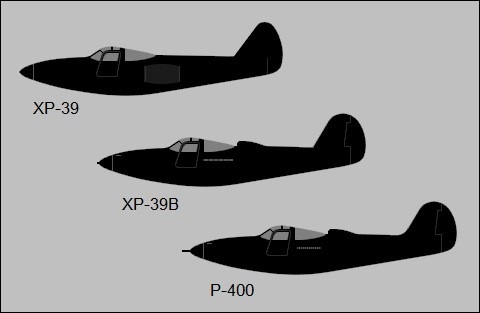 Some late-model P-39s supplied to the USSR remained in service into the early 1950s. Some were refitted with Soviet armament of a single Berezin 20 millimeter cannon and twin Berezin 12.7 millimeter UBS machine guns; a few were even fitted with the Klimov M-105P vee-12 engine, which had a similar form-factor to the Allison V-1710. With most Italian fighter production in the hands of the fascist state in northern Italy after the armistice of September 1943, the Allies had to provide the co-belligerent Italians of the south with any modern equipment, including fighters. Several Italian fighter squadrons were tasked with fighter-bomber support of the Yugoslav partisans during 1944, and these units were provided with 149 examples of the P-39 Airacobra. The two variants involved were the P-39N with the V-1710-85 engine and the P-39Q with the mixed machine-gun battery of earlier models replaced by a homogenous battery (two 12.7-mm/0.5-in guns in the nose cowling and single guns in the blister under each wing). Late aircraft also introduced a four-rather than three-blade propeller, and had altered fuel capacity and armour protection: The type was retired only in 1951. Portugal interned eighteen P-39s that landed on their soil, ultimately applying payment to the United States for these captured systems at the end of the war. The Royal Australian Air Force received a mix of D- and F-models pending the Japanese invasion of the Australian mainland. These were returned to the United States when the threat officially subsided. The Free French obtained almost 250 Airacobras from mid-1943 in the Mediterranean theater, but they were phased out in favor of the Republic P-47 by late 1944. The USAAF 31st Fighter Group was set up and comprised of the 307th, 308th and 309th Fighter Squadrons with P-39s. These arrived in England in July of 1942. Seeing prompt action, and in one fighter sweep, six of the twelve P-39s were lost to enemy action. It was not long after that the USAAF pulled the Airacobra form the theater, replacing the 31st Fighter Group P-39s with Supermarine Spitfires. Still, P-39s saw combat actions in support of the Operation Torch landings over North Africa and then over Italy. These primarily flew under the 10,000-foot ceiling limit, used in the close-support role and escorted by fighters. One USAAF pilot, Lieutenant Bill Fiedler, became an ace in the Airacobra, while several other USAAF pilots scored kills with it. The P-39 was set into service in the Panama Canal zone under fear of an attack from either ocean from Japanese or German submarine groups. After the attack on Pearl Harbor (December 7th, 1941) the P-39 was pushed into the Pacific Theater of War and saw its first recorded combat with the 8th Pursuit Group. Following the initial P-39C and P-39D models were the P-39F and P-39G model series with Aeroproducts propellers. Japan mounted an invasion across the Aleutian island chain off of Alaska in an effort to setup submarine replenishment points for actions in the Northeast Pacific. P-39s defensed against targets of opportunity including flying boats, shipping vessels, airfields and depots. In all, 20 enemy aircraft were destroyed for the loss of just one P-39. Some 9,584 P-39s were produced at the cost of $50,666 dollars each. Production ran from 1940 to May of 1944. With 20 mm cannon for RAF, most flown by USAAF. Engine: 1 x Allison V-1710-83, 1,200hp. Armament: 1 x 37mm Oldsmobile cannon with 34 rounds OR 1 x 20mm Hispano-Suiza cannon. 2 x 12.7mm machine guns upper forward fuselage with 200 rounds each. 4 x 7.62mm machine guns in wings (2 to a wing) with 1,000 rounds each. Engine: 1 x Allison V-1710-85, 895 kW (1,200hp). Length: 9.19m (30 ft 2in). Max T/O weight: 3720kg (8,2001b). Max speed: 399 mph at 9,700 ft.
Armament: 1 x 37-mm cannon, 2 x 12.7-mm (0.5-in) mg and 4 x 7.62-mm (0.3-in) mg plus provision for 1x227-kg (500-lb) bomb carried under the fuselage. Armament: 4 x 12.7-mm/0.5-in mg.